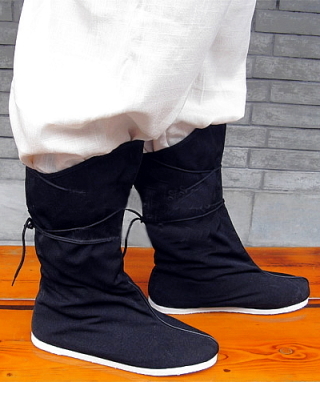 • Qiancengdi: The whole fabrication for the thousand-layer sole requires seven steps and all by hand with the multi-layer cotton sole sewn together by over 2000 stitches of flax twine, then soak into hot water and hammer to flat. • Hanfu: Hanfu literally means "Clothing of the Han people" refers to the traditional clothing of the Han Chinese, the predominant ethnic group of China. 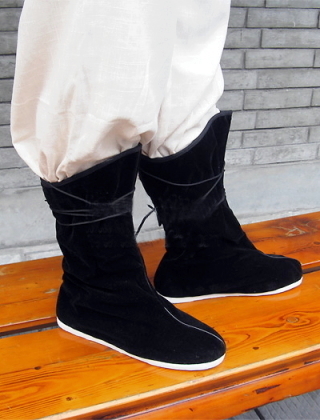 It is traditional clothing of the Han Chinese pre-17th century.